Regardless of the size or complexity of your organization, every aviation service provider recognizes that risk exists in the operation due to the nature of the industry and ever-changing environment. There are no aviation safety products or processes that will totally insulate you from risk. Are you the type of operator that counts your losses as part of doing business? Do you have time-tested processes that assure successful operations? Or perhaps you are counting on a combination of factors, such as your "time-tested processes" and an SMS manual or safety database to insulate yourself from regulatory scrutiny? Over the years, I have seen a problem regarding the adoption of aviation safety products that were designed to increase success. Problems may occur when the operator relies too heavily on their established processes and aviation safety products or they are not using them as intended. There are literally scores of cases where I see aviation service providers expend considerable resources to implement their aviation SMS program, only to let that effort go to waste. Here is a case in point. Modern technology and aviation safety database tools have leveled the playing field. Smaller operators can afford to use the same, high-quality safety management systems as their larger competitors. Unfortunately, these smaller operators are missing out on opportunities because they either don't have adequate risk management training, or management keeps company safety personnel so busy that they cannot perform their safety tasks effectively. In short, just because you have acquired a state-of-the-art safety database does not ensure your SMS program will be successful. You have to use it. Train employees on the basics of safety management systems. Safety manager leaves the company...safety program dies. Mid-level management not fully supporting the safety program...safety program dies. Part-time safety manager becomes too busy with other tasks...safety program dies. Aviation SMS hype in the region subsides...safety program dies. From experience, companies with more than 60-80 employees should have a dedicated, full-time safety manager. Smaller companies often cite lack of resources for a dedicated safety manager. This is completely understandable. In these cases, the safety management workload must be more evenly distributed. For example, I have seen many hard-working safety managers develop a company's hazard register independent from the company's department heads, such as director of flight ops or director of maintenance. These directors may not know what a hazard register is and neither the time nor inclination to learn about hazard registers. Whenever the safety manager performs the proactive hazard analysis exercise without participation from department heads, you can expect a finding to hit your company within three years. I'm being generous here, and assume that your regulatory auditors are competent. This is not always the case. Unless you have the participation of the department heads, you will have no idea whether your control measures are effective or even relevant. After all, the safety manager cannot see deeply into the workings of each department; therefore, it is imperative that department heads are trained in proactive hazard analysis and the creation of control measures. Safety managers with operational experience can generate a hazard register. You probably already have a hazard register. Your aviation safety product may have come pre-configured with a hazard register, which is the result of the proactive hazard identification activities. The message here is that simply because you have an aviation safety tool, or have gone through the entire SMS implementation does not guarantee long-term success. You actually have to use these tools and review processes. 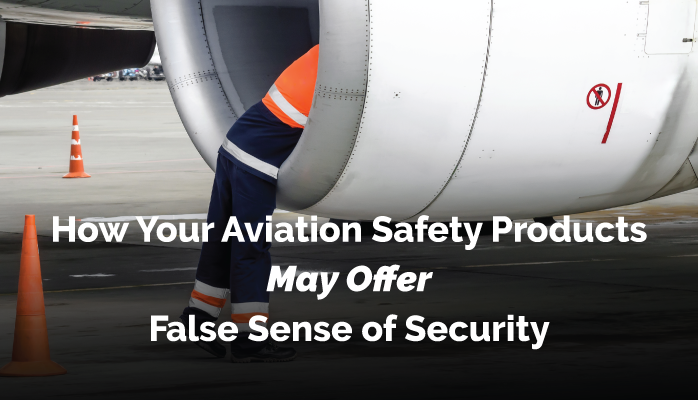 Your aviation safety product may prove to be a short-term "silver bullet." However, if you don't use the tools as they were designed, or review the system, you can expect regulatory findings. Published October 2016. Last updated August 2018.